This is a sponsored post for Unpakt.com, a service that you might find yourself in need of one day. Moving can be oh soooo very stressful. Whether you are moving two blocks or thousands of miles away, the steps involved in the adventure are the same. These steps usually include finding a place to live, organizing and packing, the actual move itself, unpacking and all the painful tasks in between. Recently my adult son moved from his one bedroom apartment here in Los Angeles to a condo just a few miles away. My husband, thinking he still had the stamina and body of his 30 year old self, decided that we could move my son without much effort or problems. He was partially right, we were able to move my son. He was very wrong on the “without much effort or problem part.” When we were finished, if we would have been listed on a NFL weekly injury report, it would have said: “Out for the year!” Did I mention that both apartment and condo were on the second story with no elevator? Never again. Next time we will be using a moving service and I think I have found the perfect tool to make that process as smooth as possible. Unpakt is the first digital marketplace that lets you find reputable moving companies, compare exact prices and user reviews, and book online instantly. In less than an hour, you can plan your move. It is available right here in Los Angeles and many other major markets from coast to coast! One of the things that many people worry about when moving is getting their belongings to the new destination intact and undamaged. Unpakt rigorously pre-screens all movers to give you peace of mind so you can concentrate on other aspects of your move. All movers are experienced, reliable and insured. The way the website works is very simple. You plan your move by entering the basics of your move such as where, when and what you are moving. 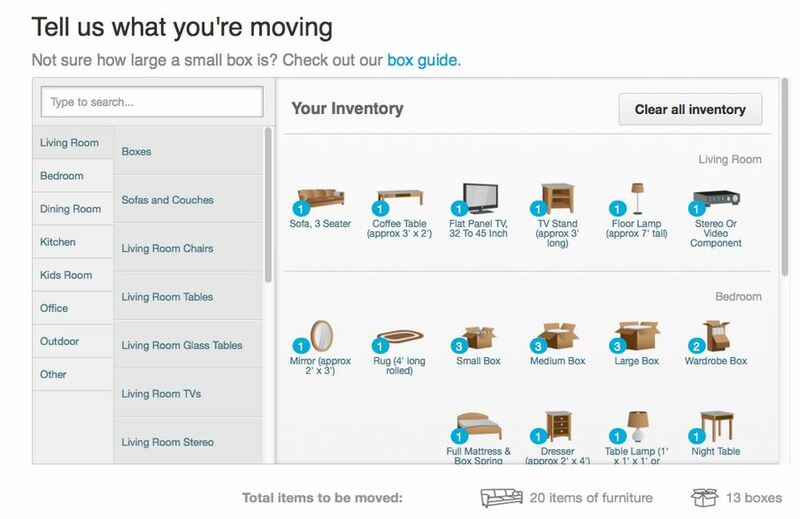 Next you will compare the moving companies by looking at their exact prices, user reviews and services they offer. Then you book with a guaranteed price. The price will only change if you edit your inventory or conditions of the move. I think one of the reasons we did not use a mover when we moved our son is because it seemed like a bit of a hassle to arrange it all. With Unpakt, you can make the arrangements quickly and with very little effort right on the internet. No wasting time comparison shopping on the phone and comparing prices and services. No waiting for companies to call you back. Prices are guaranteed and movers are pre-screened. Next time my husband will not get a say in the matter. I will have it all arranged and booked before he even knows someone is moving. Receive 5% instant cash back on your next move! Enter promo code: SPRING5 on Unpakt.com when booking and save. Must book by 6/30/13. This is a sponsored post. Unpakt paid Imperfect Women to share their site with you. However, the opinions about Unpakt (and my husband) are all my own. After my husband retires and we decide to move back to Wisconsin where we can live with windows opened and doors unlocked at night, we will be heading to Unpakt.com to check out prices for movers. Pam Buttikofer is a co-founder of Imperfect Women. When I think of our last move it was a nightmare. You make it all sound so easy with Unpakt. I will keep this company in mind for any future move. Having recently helped my sister and brother-in-law mover from Colorado to Texas, I know what a pain in the arse moving is. We did up 3 flights of stairs, on our own. NEVER AGAIN. When she moves out of that apartment, she’s going to go w/ movers. I’ll have to tell her about this new site! Unpakt definitely sounds like the way to go when moving. So nice that everything can be done on one site and with the click of your mouse. LOL @ having it all arranged before your husband knows anyone is moving! This so sounds like a great service. I will definitely share with some friends that are relocating. This is a great idea for a college graduation gift, too. Ann, that’s a great idea for a gift! The one time I did hire a mover off of Craig’s List, I got lucky and they did a good job at a reasonable cost. I have heard so many horror stories, however, regarding bad movers so I know not to press my luck again. I will use a service like Unpakt next time. Thanks for the recommendation. Wow, what a great service. Moving is so stressful; anything that makes it a bit easier is more than welcome! Perfect idea to give as a gift. With two of my grown children in college and the semester coming to the end I will give this service a try. This sounds wonderful, a great college idea or for older parents as well. I will keep this company in my favorites.